Today, I 'd like to tell you what I know about Frederic Heutte and the center that was built to commemorate his works in beautifying the City of Norfolk. The story is told that as a child in Paris, he knocked a pot of geraniums off the balcony of his parent's apartment. Replanting them, he discovered gardening. Mr. Heutte was born in Paris in 1899, and his family moved to the United States when he was 12. They settled in Summit, New Jersey. He began working for a florist who had advertised for a boy who spoke French. He branched out from florist job and began gardening on private estates in the area. In 1917, Mr. Heutte joined the army and was stationed in the Canal Zone, protecting the Panama Canal. He planted hibiscus throughout the zone. Seeing what he had done, his company commander, who was an avid gardener, assigned him duties as "company gardener". 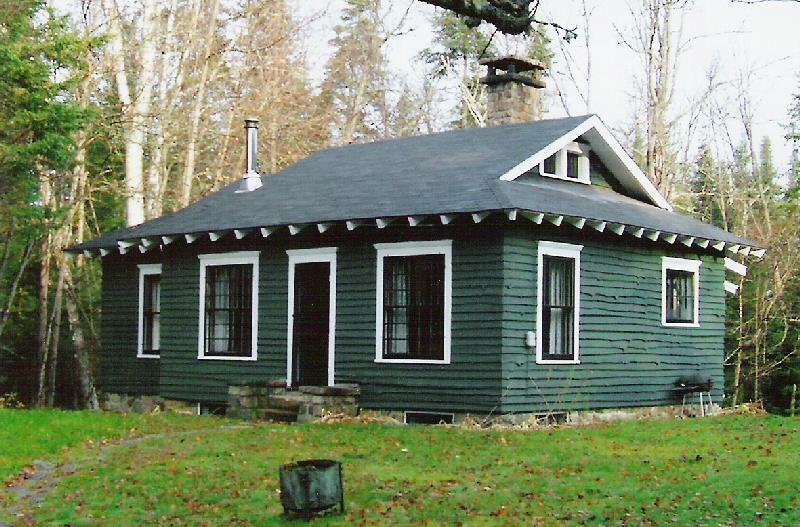 After World War I, Mr. Heutte met and married Florence Alford while working as head gardener at President Calvin Coolidge's summer home in the Adirondacks. With a reference from Coolidge, he obtained a job in Charlottesville, working for the wife of a University of Virginia professor, William White. Mrs. White was a member of the Royster family in Norfolk. She introduced him to Norfolk City Manager T. L. Thompson. Mr. Heutte and Mr. Thompson spent many mornings driving all over Norfolk, discussing the beautification of the city. In 1936, Mr. Thompson found a way to get funds from the WPA, one of President Roosevelt's New Deal Projects, and gave Fred Heutte the job of shaping what is now the Norfolk Botanical Garden. Back then, it was called the Azalea Garden. Mr. Heutte hired 200 out of work farm hands and women, and put them to work, clearing the area, and readying it for planting. Then he found there was no money for seeds or plants, only salaries for the workers. So, he went to Wirt Winn of Winn's Nursery, told Mr. Winn of the situation, whereupon Mr. Winn gave him 4,000 azalea plants. The Azalea Garden was on its way and today there are over 100,000 azaleas, 3,000 rose bushes, and 700 camellias planted there! Mr. Heutte was appointed superintendent of Norfolk Parks. He took his job very seriously. He reached out to every neighborhood, and the surrounding communities. He knocked on doors and invited homeowners to join in the planting of the crape myrtle trees which line countless Norfolk streets, a lasting memorial to his memory. 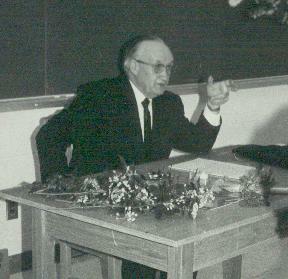 Thirty years later, Mr. Heutte retired, but Norfolk would never look the same. Besides numerous articles on gardening, he wrote a book entitled Gardening in the Temperate Zone. He was known far and wide for his contributions to horticulture. Among his many tributes was the "Merite Agricole" from France, earning the Gold Medal Award from the Garden Clubs of America, and perhaps the most treasured of all, The Robert Hoyt Scott Medal, from Swarthmore College. In 1966, he was given the Citizenship Award by the Kiwanis Club of Norfolk recognizing his invaluable support of the natural resources of this area. For three decades, Mr. Heutte was known as "King Gardener", a title given him by the area's 48 garden clubs. Once he said, and I quote, "Were it not for the Garden Clubs in Norfolk, the beauty of Norfolk would not be here today. They were the sponsors, they were the needlers." He appreciated what you ladies had done and are still doing. I must tell you though, Mrs. Heutte once told me that they had the worst looking yard in the neighborhood. A typical case of the shoemaker's children, all of them barefoot. Mr. Heutte died in his 80th year, but the beauty he left us lives on. Now, let me tell you about the Heutte Center and how I came to be here. Back in 1990, when I retired from the Beach Parks and Recreation, I needed something to do; so I began volunteering at the Norfolk Botanical Garden. Three years later in June 1993, the gardens went private. So several of the volunteers and I decided to go to the Heutte Center to offer our services. Needless to say, we were welcomed with open arms. Every Thursday, since February of 1993, I've been there, digging in the dirt, planting, weeding, trimming, and pruning - anything that needed to be done in the garden. After a year, having been introduced as a Norfolk Master Gardener, which wasn't quite so, my conscience began to bother me. So I took courses, passed my exams, and became an "honest" member of the Norfolk Master Gardeners. Unless it pours rain - or snow! - or I'm too sick to get out of bed, I can still be found every Thursday at the Heutte Center, doing whatever I can to help maintain the gardens. I'm convinced the Fred Heutte Center is the best kept secret in Norfolk. How many of you have ever been there? How many of you know about it? 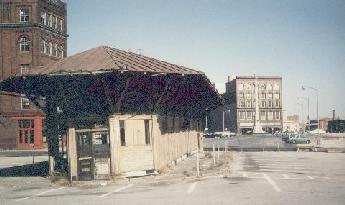 The old Ferry Terminal Building stood on Commercial Place in Norfolk for 65 years. After the tunnel joined Norfolk and Portsmouth, on May 23rd, 1952, the building stood empty for 12 more years. It was then dismantled, its pieces numbered and stored in a warehouse. When Norfolk Redevelopment and Housing Authority decided to reconstruct the building in Ghent Square, they found that the master plan had been misplaced and they were faced with a giant jigsaw puzzle. It took a while! Finally, the Federation of Garden Clubs reached an agreement with the Norfolk Redevelopment and housing Authority and the old Ferry Terminal Building was now the Fred Heutte Horticulture Center. On just over one-half acre in the center of Norfolk's Historical Ghent neighborhood, the area incorporates 4 different gardens: a perennial garden, the herb knot garden, the heirloom vegetable garden, and a water garden. There is an arboretum, a camellia lath house, and the historical ferry building. Oh yes, the vegetable garden is harvested by the Norfolk Master Gardeners and the produce is delivered to the local food bank. Currently we are trying to replace some plantings to conform to the original plans. Growth of trees and large shrubs has shaded some plants, so this presents some problems. The deciduous trees- planted down both sides of the garden- makes it difficult to keep the leaves out of the flowerbeds, but we do try. With leaves and some clippings we also make our own mulch. And we now have a new compost tumbler. Another project is labeling the plants, and we do try, especially the unfamiliar ones. Everybody recognizes a daffodil, but "ramie"? A second floor was added to the ferry building and is available for rental for a modest fee. Currently there is a Tai Chi class using the facility two evenings a week, a morning class for "stress management" group, a yoga group, a Musikgarten group of pre-schoolers learning about music, and another pre-school that meets once a week. The center has been the venue for many weddings, receptions, social and professional meetings, meetings of religious organizations, as well as for civic group meetings held on a regular basis. We conduct an herb sale each year with vendors and demonstrations such as herbal cooking and herbal tea tasting. The center includes a horticultural reference library, a 30-seat theatre, exhibit hall, and a conference and meeting room. Because of these resources, the center is able to host horticultural workshops, demonstrations, lectures, and exhibits. One permanent exhibit is a display of antique tools. In spring and summer, we conduct walking tours through the gardens for various groups. Although the property and the building are owned by the City of Norfolk, the responsibility for maintenance of the structure and the gardens is undertaken by the all-volunteer Friends of Fred Heutte Foundation, the Norfolk Master Gardeners, and other local volunteers who give generously of their time and services. The center office grows in size and becomes more organized with each passing day. The only paid employee is an administrative assistant who works from 10AM-5PM, Mondays through Fridays. In the fall of 2001, we received two awards: The Award of Merit for Outstanding Environmental Stewardship presented by the Norfolk Environmental Commission and a Quality Landscape Award given by the Norfolk Beautification Committee. The Fred Heutte Center is an excellent example of a public landscape maintained by volunteers for the benefit of the entire community. We publish a quarterly newsletter that is mailed to members. Club membership is $75 a year and membership in the center is only $15 for seniors. Other levels of membership are available. (To view these levels, click to the left on "levels of membership".) Members are invited to attend lectures free of charge and clubs have free use of the meeting room. One more thing. For those of you who grew up in Norfolk, you will remember when there was a streetcar running down Granby Street, from town all the way to Ocean View. Well, when the city finally decided to take up the tracks for the streetcar - since they hadn't been used for years - Mr. Heutte and Mr. Edward Gross decided to plant oleanders in the median strip. They were not sure that our climate was suitable. Except during extremely cold winter outbreaks with low temperatures, they have flourished. And the money for our Heritage Vegetable Garden was provided by the family of that same Mr. Gross, in his memory. In Case You Didn't Know - Who was Fred Heutte? Why the Fred Heutte Center? The Friends of the Fred Heutte Foundation is an all-volunteer, not for profit organization, dedicated to urban beautification and horticultural education for the urban communities. The Foundation was formed to honor the memory and to pursue the dreams of Frederick Heutte, Superintendent of Parks for the City of Norfolk for 29 years. He was a catalyst for the beautification of Norfolk and all of southeastern Virginia. Emigrating from Belgium as a young man in the early 1900's, he believed that city parks were an important part of life for the urban dweller. In the early 1930's he visited Norfolk at the request of the City Manager, Mr. Thompson who had heard about his abilities as an estate gardener. He liked the area and became supervisor of the Norfolk City Parks in 1937, and began planning and planting the azalea and camellia gardens with the help of women WPA workers. Now the Norfolk Botanical Garden and the hundreds of crepe myrtle trees he planted throughout Norfolk are a lasting and beautiful memorial to a "gardener's gardener". He was active in every aspect of gardening and received numerous awards and citations, which are displayed at the Fred Heutte Center in Ghent Square, Norfolk. The Foundation is housed in the restored historic Norfolk-Portsmouth Ferry Terminal, built in 1887 on the Norfolk waterfront as the concession building for the ferry to Portsmouth. 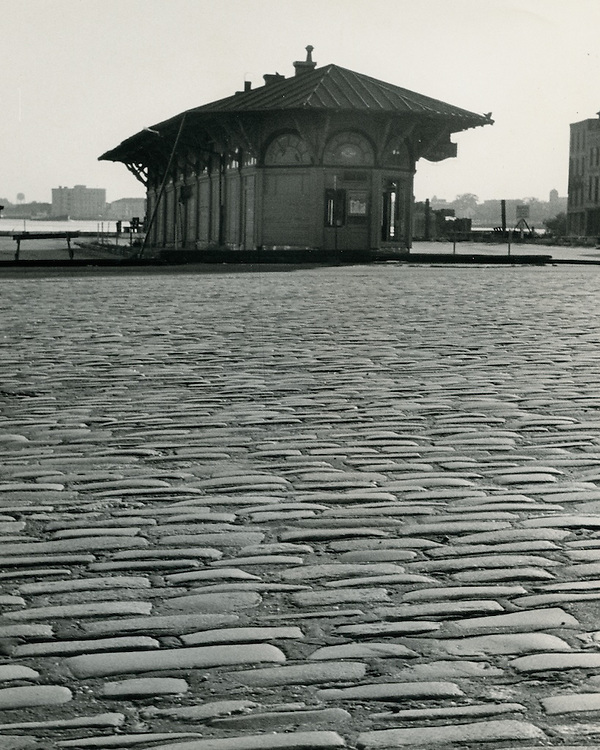 In 1952 the Ferry Terminal Building was dismantled and put in storage. Once brought out of storage in 1969, it was reassembled in Ghent Square to become the centerpiece of one of Norfolk's first large-scale residential redevelopment projects. 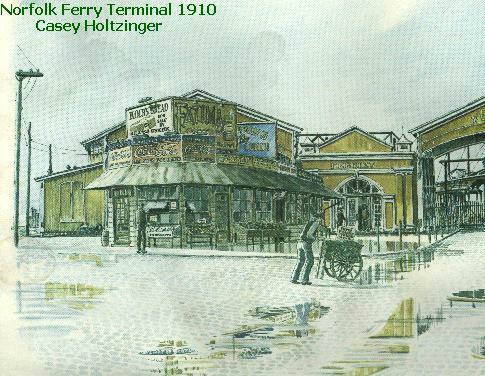 The Ferry Terminal was used as a sales and information office for the new homeowners until 1977. 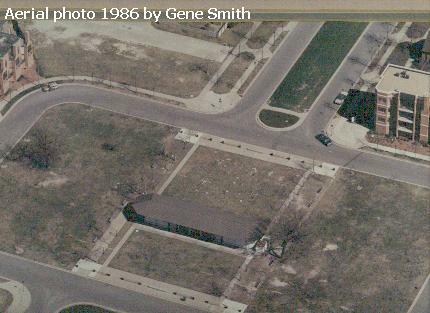 In partnership with the Norfolk Redevelopment & Housing Authority and the Federation of Garden Clubs of Norfolk and Vicinity, the Friends of Fred Heutte Foundation applied to the City of Norfolk in 1980 to allow them to rent the building and land to create the Fred Heutte Center. In September of 1959, Mr. Heutte, as director of the Norfolk Botanical Gardens, developed a "mist system" of irrigation expected to boost plant size at less cost than traditional irrigation systems. This park is a living memorial to his love of plants and the belief that man needs the beauty of nature in the midst of a hectic urban life. The Center's landscape design by Siska & Aurand aims to achieve the effect of an urban park in the manner of European parks with structured gardens and an arboretum. This design is in concert with Fred Heutte's philosophy that life in the city can be greatly enhanced by such urban landscapes. Strollers, picnickers, students from local schools, people walking to and from places of work, worship and school, as well as others seeking a quiet, restful and aesthetically pleasing spot, visit the grounds daily. Because of the beauty and tranquility of the grounds, groups and individuals rent the site for meetings, classes, weddings, and other social events. Located on 0.7 acres of city park in the center of Norfolk's Ghent Square Community, the Fred Heutte Center and gardens incorporate four different and distinct gardens (Perennial Garden, English Knot Herb Garden, Heirloom Vegetable Garden, Water Garden) and an Arboretum that includes a Camellia Lath House. The gardens are planted for year round interest using evergreens, bulbs, perennials as well as cool and warm weather annuals. Change and experimentation with various plant materials creates an ever-evolving landscape. The gardens are entirely maintained by volunteers many of whom are Norfolk Master Gardeners who supervise and help educate novice volunteers. Visitors see trees, shrubs, and herbaceous plants that are particularly suited to the Tidewater urban environment. The use of composting, clean garden practices and organic gardening techniques demonstrates that urban gardeners can achieve interesting and attractive gardens in an environmentally sound manner. The Fred Heutte Center's gardens are an excellent example of a public landscape maintained by volunteers for the benefit of the entire community, an Old World touch to a modern setting. 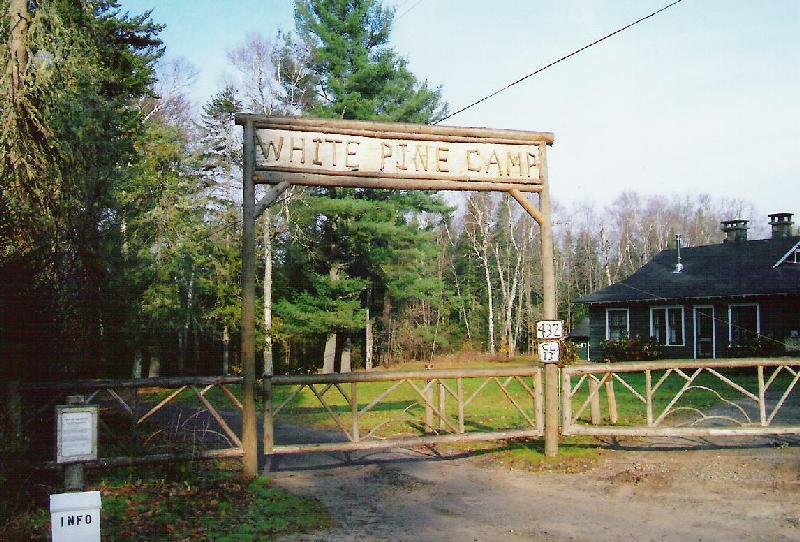 In 1926, Fred Heutte worked for President Calvin Coolidge at what is now White Pine Camp in the Adirondacks area of New York State. 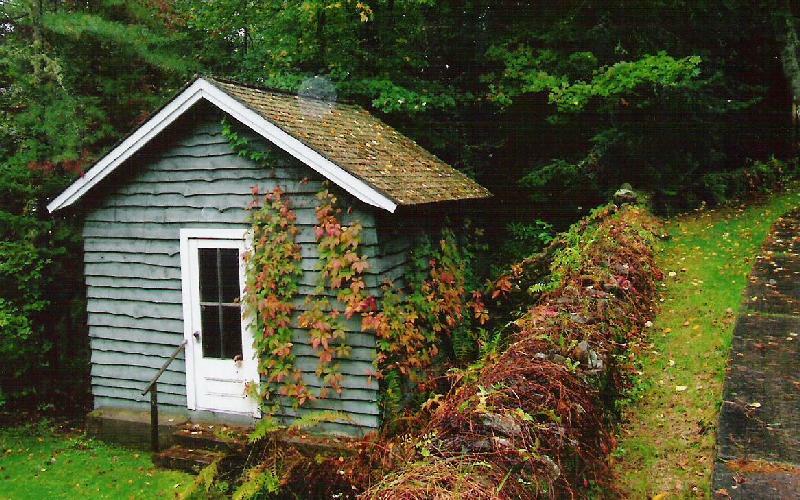 Above, pictures include the gardener house where Mr. Heutte lived and the gardener's shed where he spent a great deal of time. 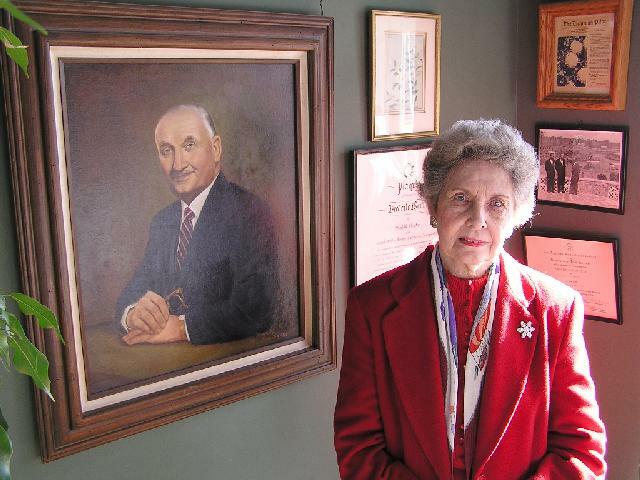 In the early days in which our foundation operated, Artist Maryetta Dobias of Norfolk was commissioned to produce the center's official portrait of Frederick Heutte. The oil painting still hangs as the center piece of our gallery at the main entrance. On February 13th, 2006, Ms. Dobias returned to the center for a meeting of the Ghent Garden Club. At the event, we were fortunate to capture this picture of the artist with her work, adding to our pictorial records of the foundation's history.